Happy Wednesday! 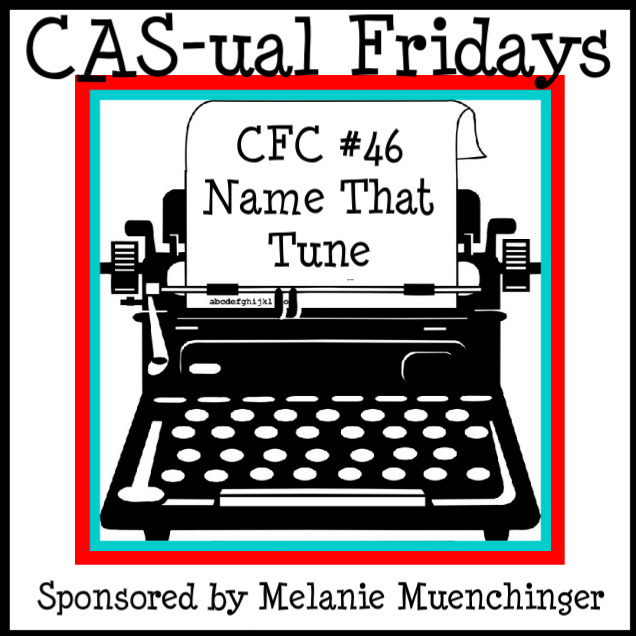 Today I have a card that I made for CAS-ual Fridays. 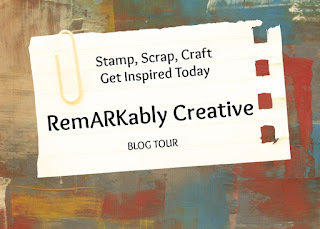 The challenge is to create a clean and simple card based on a song. 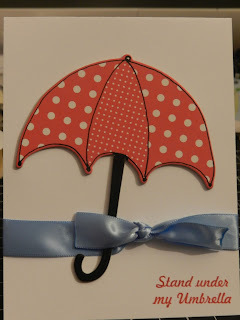 I created this card with the song Umbrella in mind. It was originally sung by Rhianna, but I really like Train's version of the song better. 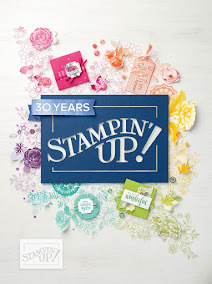 I used Claudine Hellmuth's scrapbook kit for the umbrella and Pink by Design's Spring has Sprung stamp set. I used some ribbon from my stash to add some extra color. I agree, I like Train's version better! And what a perfect card for the song too! 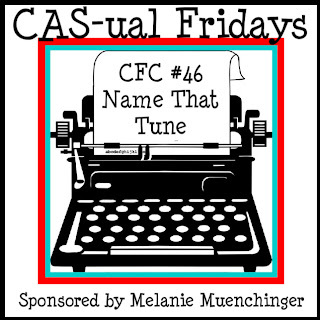 Thanks for playing at CAS-ual Fridays this week!